No one likes having large or fatty thighs, especially women. The problem is, women tend to be more prone to having excess fat in their thighs, while men tend to have them on their bellies. Here’s how to lose weight in your thighs quickly and enjoy a well-toned body. Before anything else, you should know that you can’t simply concentrate on exercising your thighs. You need to lose the excess body fat first, so that means going on a healthy diet that’s low in saturated fat and trans fat, increasing your metabolism so you burn more calories than you take in, and then doing specific exercises to target those problem areas. This three-fold method will definitely help you lose fat in your thighs, as well as get them toned. First, decrease your intake of saturated and trans fat. So that means you need to minimize your intake of meat, poultry, fried foods, potato chips, cookies, and so on. 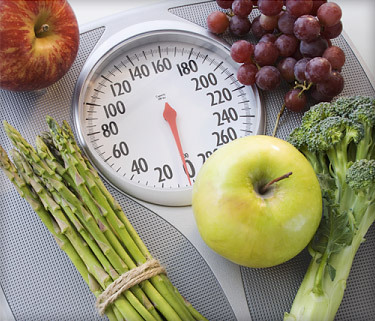 Go for lean meats, fish, fruits, vegetables and whole grain products. This will help you lose the extra fat in your body. Also, count the calories you take in. Avoid juices, sodas and other sweetened products that are high in calories. The best thing to do is simply drink lots and lots of water. Now, you need to increase your metabolism by doing some cardio. Work up to 30 minutes of exercise a day and you’ll definitely boost your metabolism and burn those fats. Finally, you can do concentrated exercises to lose weight in your thighs. Do exercises where you’re working those thigh muscles such as jogging, running and jumping rope. Don’t do stationary bikes, as this will only tone your legs, not thighs. Squatting is also great, and make sure to do this at least three times a week. Simply stand straight, put your feet about a foot apart and then bend your knees slowly, gradually speeding up. Make sure to maintain a good posture. This is truly one of the best exercises to help you lose weight in your thighs. What are the Side Effects of Using Plastic Surgery?